We rate and review the best antivirus products and services to help you protect your privacy online and keep your computer and devices running fast. To keep this site free, we get paid when you click one of our links and buy one of the services. We help people around the world find the best antivirus software for their cyber security needs. 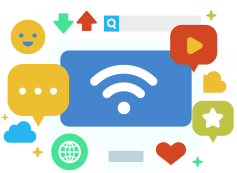 We rank and review software from select providers and make recommendations based on your specific requirements and device types. Whether you need antivirus software for multiple devices at your large enterprise or protection for your personal cellphone or family computer, we have special insights, offers, and deals you won’t find elsewhere. 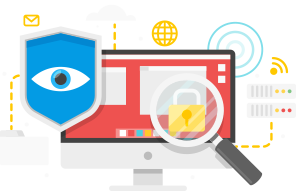 You can determine which antivirus software is best for you and learn about general cybersecurity tips by reading our helpful guides as well. Antivirus software protects your devices from malware, and detects and removes it if you’ve mistakenly downloaded it or have been hacked. Malware can cause damage to your computer, cell phone, or other connected devices by corrupting and deleting your files, collecting your personal information like credit card numbers and passwords, and spreading to other devices on your network. Maybe you’ve never experienced a malware attack, or you think your device is impenetrable because you use a password for your Wi-Fi. Unfortunately, attacks can happen at any time if you’re not utilizing the right protection. Hackers are becoming more aggressive and better at breaking through cybersecurity barriers because there is a high incentive for them. They can gain access to a plethora of valuable and sensitive information. In a time when we are becoming increasingly connected through our phones, computers, smart home devices, cars, tablets, and watches, it is critical that you safeguard yourself from outside threats. Otherwise, you are vulnerable to the all-too-common attacks occurring every single second of the day. Not all antivirus software is compatible with your particular needs! Some software may be better for multinational corporations, while others are perfect for your family PC at home. You’ll need to find software that fits within your budget while safeguarding your devices and sensitive information at the same time. When you do an antivirus comparison, you can find your top choice and know you're getting the best deal with us. It can be difficult to decide which antivirus software is best for you. That’s why we rank them and provide you with expert reviews. We know that cybersecurity doesn’t stop when you download antivirus software. You also need to take additional precautions, so we offer cybersecurity recommendations and useful content. 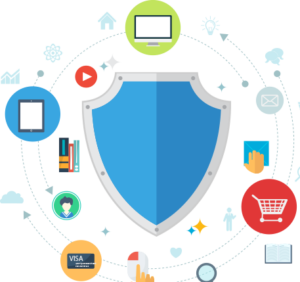 By investing in antivirus software, you are protecting yourself, your family, and your business from falling victim to a cyber attack. Click to find the best antivirus software for your needs today.